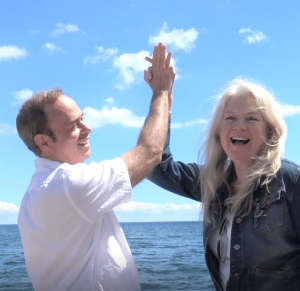 Let me introduce Bill and myself and why I know life after 50 can be “awesome!” I have to admit I dreaded the thought of turning 50. I remember looking at myself the morning of my 50th and thinking… Huh? There weren’t 6 more wrinkles, the girls were still perky and I was on a trip to “New York City! !” With a true glimmer of hope I thought, “I feel great for ½ a century” (did I just say that?) Anyway, maybe it was the vibe of the Big Apple or the fact the light was great on me at that hotel bathroom mirror but that day I decided to take a new lease on life and embrace my fabulous fifties! So join us as we share our incredible journey together. I’m so glad you’re here to share our awesome ride!